Back-to-back earthquakes have left Nepal reeling. The loss of life is unprecedented in the country, millions of people are displaced, and the emotional impact is immeasurable. 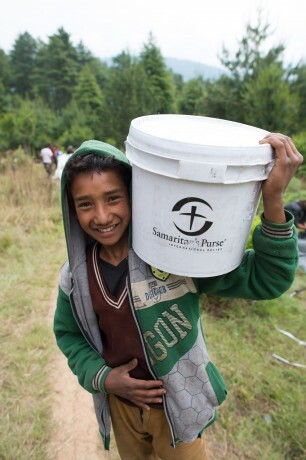 Samaritan's Purse responded immediately, rushing aid to Nepal after the initial catastrophic quake on April 25. We have been meeting urgent needs for survivors both in the Kathmandu Valley and rural mountain villages ever since. 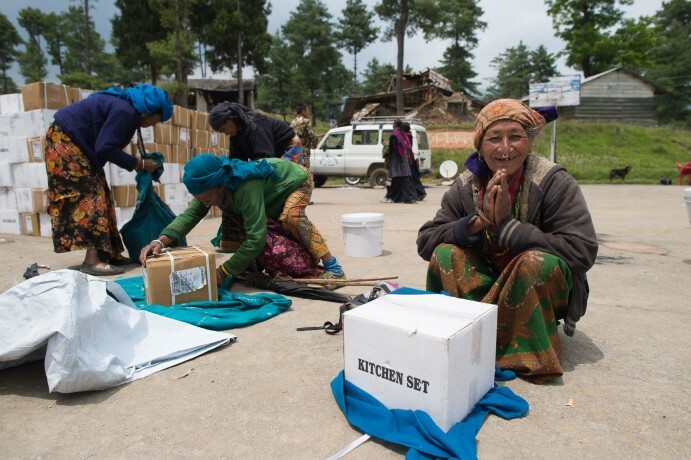 Thanks to generous support and prayers, we have already provided emergency relief to thousands. Our work continues. Here are the main ways we are bringing help and hope to the people of Nepal. When the houses crumbled, food was buried. Markets closed, and gardens were ruined. Survivors told us stories of scavenging through the rubble, walking for hours to nearby communities, or simply not eating at all. Our team is helping to fill the gap in food shortage by providing families with a week’s supply of rice, lentils, salt, and oil. 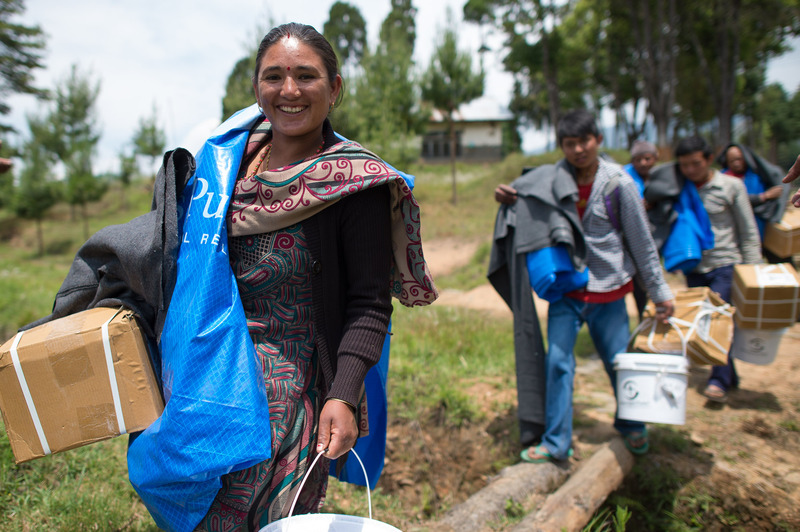 Radhika Ghale is a teacher at a primary school in rural Nepal. Her home was heavily damaged by the earthquake, but she was thankful that her family was safe and that none of the 400 students at her school were injured. After an afternoon thunderstorm passed, Radhika and her son, Oasis, balanced the rice bag on their motor scooter and drove away. 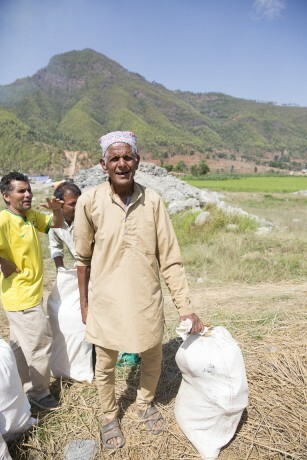 A woman named Mithu pointed to a quake-damaged home made of brick and stone on the hillside. 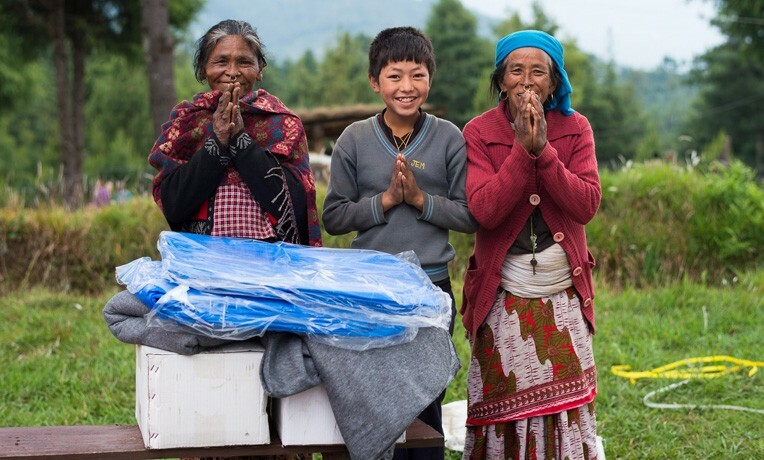 Mithu said that after the earthquake, 17 families banded together, creating a community tent out of tarps, blankets, and pieces of plastic. For 11 days, they slept outside and shared what little food they had, but now most of the food was gone. With the monsoon season rapidly approaching, shelter materials are a critical need for homeless families. Many are spending nights outside in the rain and days unprotected from the sun. Samaritan's Purse is working to distribute emergency shelter materials to 50,000 families whose homes were lost or damaged in the earthquake. 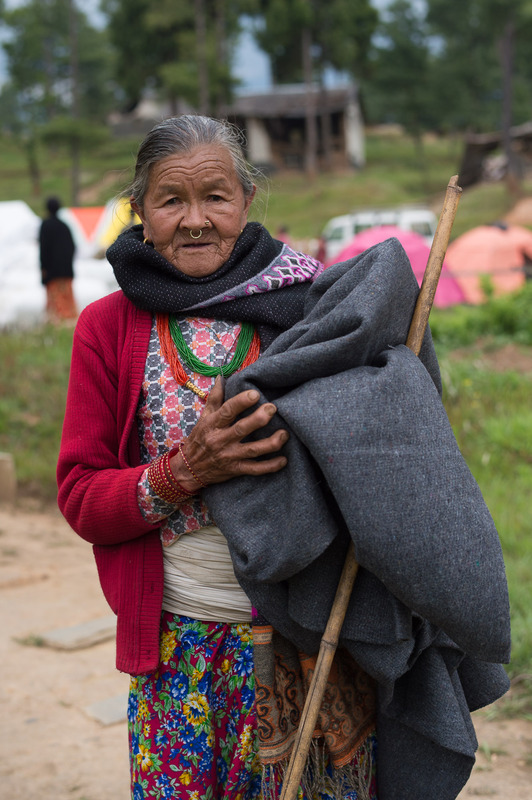 Nights can get cold in the mountains, especially for the innumerable families now sleeping under tattered tents or completely exposed to the elements. 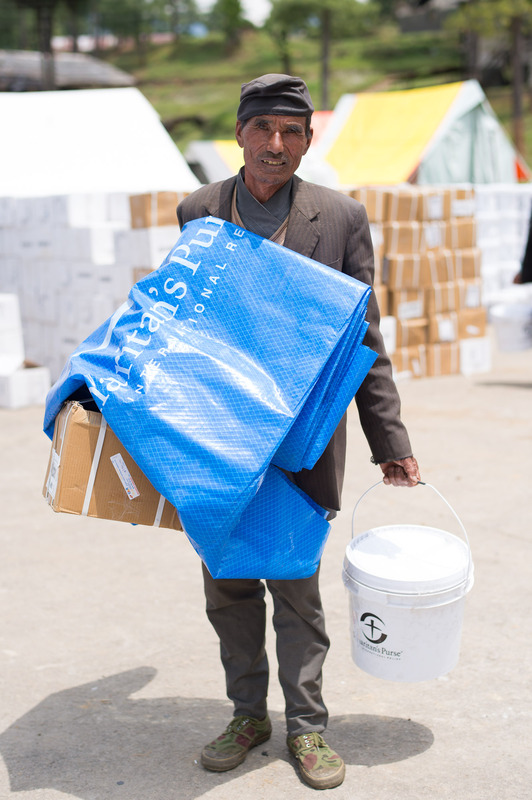 As we distribute food, shelter, and other relief items, our teams are also giving several blankets to each family. 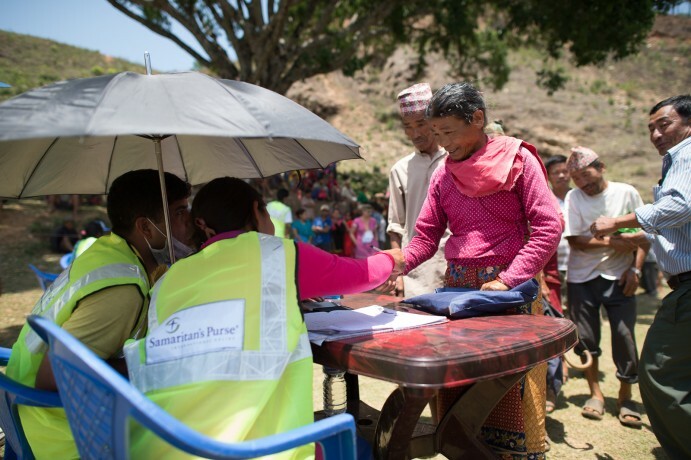 The earthquake took everything from thousands of families, including basic items like plates, cups, and silverware. Our sturdy kitchen kits replace some of what was lost, and provide families with a means to cook the food we distribute. 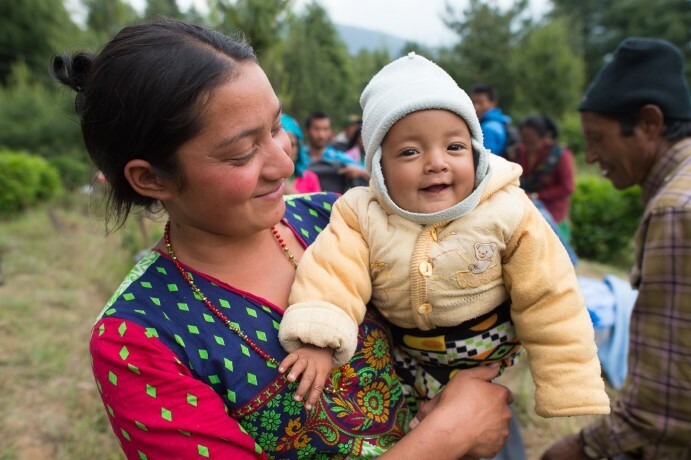 Having something tangible also provides hope for people who lost everything. 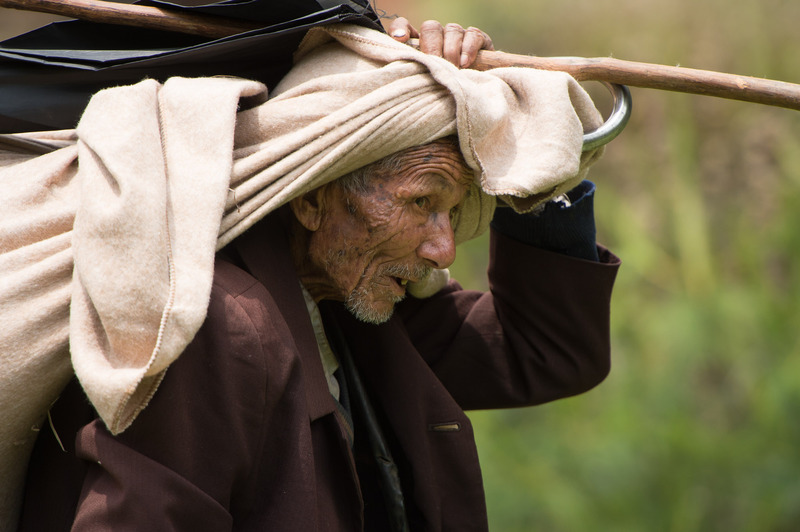 An estimated 4.2 million Nepalese need clean water, sanitation, and hygiene assistance due to the earthquake. One family showed us a half-filled bucket of dirty water and said it was all they had to drink. We are meeting urgent needs by distributing hygiene kits that include water purification tablets, jerry cans, soap, and other items. Our team is also training thousands of people on proper hygiene and sanitation practices and water purification. Thank you for your partnership in this vital work. Please continue to pray for the people of Nepal.